The following article was authored by MiamiTennisNews.com and appeared on the pages of OnTheBaseline.com as part of their “2010 Players to Watch” series. 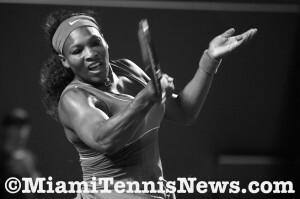 It is being republished on MiamiTennisNews.com with permission from OnTheBaseline.com. Whilst the two consonants comprising the introduction of her surname may be a source of consternation as to its pronunciation, in Petra Kvitova‘s case, this will shortly be an aberration. In light of this teenager’s memorable accomplishments in 2009, it is safe to assume that her name will be fluidly rolling off tennis fans’ tongues for the foreseeable future. Hailing from the Czech Republic, earlier this year, at the age of 18, Kvitova bagged her maiden Sony Ericsson WTA Tour title in Hobart by defeating compatriot and seasoned rival Iveta Benesova. With that victory, Kvitova cracked the top 40 for the first time. Weeks later though at the Australian Open, Kvitova had the misfortune of drawing 14th ranked phenom Victoria Azarenka in the opening round and made a prompt departure. Still, Kvitova redeemed herself at the Fed Cup by BNP Paribas. Facing the 2008 finalist Spain, Kvitova got her team off to a magnificent start by beating Carla Suarez Navarro, a recent quarterfinalist in Australia. Then, with a euphoric stadium cheering her on, the youngster bested Nuria Llagostera Vives to secure the Czech Republic’s semifinal berth. However, in April, after winning the initial rubber versus American Bethanie Mattek-Sands, Kvitova ran into a glitch. Alexa Glatch routed her in two sets. Ultimately, the U.S advanced to the finals. Mid year, Kvitova struggled with an ankle injury which kept her out of Roland Garros and contributed to a series of early losses including Wimbledon. Kvitova’s ranking dipped to 69. Attempting to get match fit, Kvitova played an ITF tournament in August only to be ousted in the first round by a lesser opponent. Days following though at the U.S Open, Kvitova showed that she indeed possesses the tools that will make her a prime contender. With time constraints moving play from Ashe to Armstrong stadium, Kvitova ranked 72nd had the night of her burgeoning career. Using her six foot frame to serve effectively and her most potent stroke, her forehand, Kvitova saved three match points against Dinara Safina. 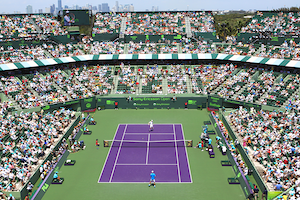 Kvitova prevailed in a compelling third set tiebreaker, shocking the world number one in the third round. Fernando Gonzalez, the 2007 Australian Open finalist, was once asked the secret to his potent forehand, he replied in essence fearlessness. 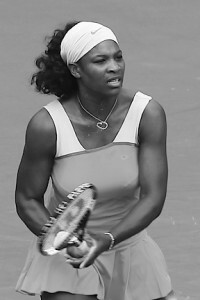 At the Open, Petra demonstrated that her forehand will be feared by her adversaries for some time to come.